Where to Eat in CDO? Home / Cagayan de Oro City / Sports / Francis Casey “Niño” Alcantara from CDO is "The next big thing in Philippine Tennis"
Francis Casey “Niño” Alcantara from CDO is "The next big thing in Philippine Tennis"
Only few Kagay-anons knew Francis Casey “Niño” Alcantara in Cagayan de Oro. Well, he is someone from CDO to be proud of, but most people hasn’t heard any news about the Tennis sport, because almost everyone are focused on sports like Boxing and basketball. 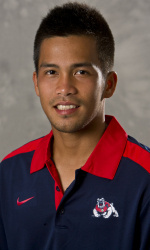 Francis Casey "Niño" Alcantara (born February 4, 1992) is a top-level tennis player from the Philippines. 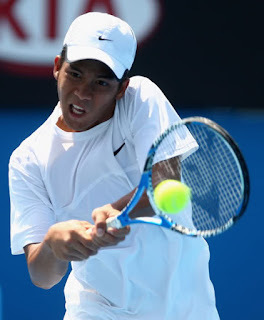 He won the 2009 Australian Open Boy's Doubles event with Hsieh Cheng-peng, beating Mikhail Biryukov and Yasutaka Uchiyama, 6–4, 6–2 in the final. On January 1, 2009, Alcantara reached his highest junior ranking of World Number 14. In winning the 2009 Australian Open Boy's Doubles title, Alcantara and Cheng-peng did not lose a set during the entire tournament. Alcantara recently completed his secondary education at Xavier University – Ateneo de Cagayan High School. He shares his winning titles with his co-Ateneans, loved ones, and especially to his late father. In an article published by Philstar, Niño Alcantara was called “The next big thing in Philippine Tennis”. He was considered the next big thing in Philippine tennis after he won the Australian Open Juniors title in 2009. His highest rank in the juniors was number 14 in the world. Read about his interview here, and let’s support him being a Kagay-anon and being a good Tennis Player, because someday, he will join the ranks of Roger Federer, Rafael Nadal, and Andy Murray. Seven Seas Waterpark, CLOSING SOON?